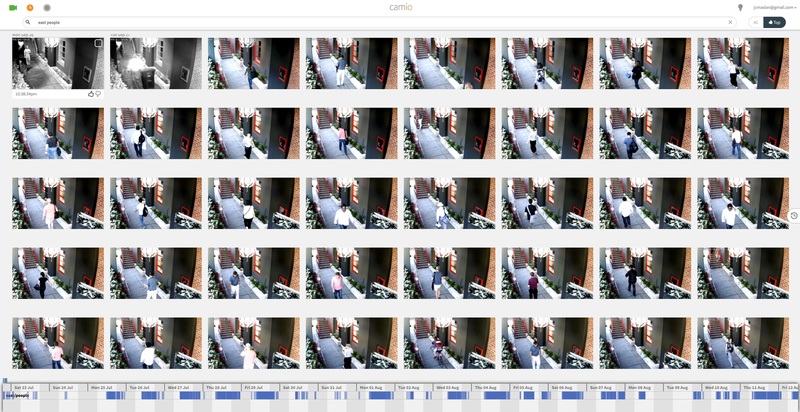 The ex-Googler led team from Camio has advanced its video monitoring offering to include natural language processing. Camio ingests video, automatically determines what objects are, labels those objects and then allows users to search for them with words, like Google but for surveillance video. We tested Camio's performance connected to an Axis camera and a Nest cam using a Camio Box we bought. *** **-******* *** **** ************ ******** *** ***** ********** ******** ** ************** ******** **********. ***** ******* *****, ************* ********** **** ******* ***, ****** ***** objects *** **** ****** ***** ** ****** *** **** **** words, **** ****** *** *** ************ *****. ** ****** *****'* *********** ********* ** ** **** ****** *** a **** *** ***** ****** ***** ******. *****'* ****** / ************** ************ *** *** ****** ******** ** have **** **** ** ***** ************. **** **** *** **** it ** *** '****' (** ********* *** ** **** ** many **** ********* *** ****, ** ******* *****, ** **** matching, ** ****** **********, ***. ***** ***** **** *** **). However, *** ****** **** **** ****** ***** *** *** ****** detailed ******** ** ******, ******, ****, ******* ***** *** ************* between **** **** ** ** ****** *** ******** **** ** enterprise *****. *******, *****'* ********* ** **** ***** ** ***********, ***** *** average **** ***** ** ******** ** *** *** **** ******** and **** ****** ** *** *** $**. ** *** ***** *** camera *** ***** ******** *********. ** ********, ** ***** *** Camio's ********** ** ****** ********** / ** ********* ************** *** an ********** ***** ************ ********. *******, ****** ******** ****** **** ** *** *****, ****** **** some ********* ** *********** *** **** ******* *** ******* ** all. ******** **** ******* ** **** ******, **** ********* **** ** car, ******* ***, ***** ******* *******, *****, *******, ***. ***** categories *** ********* ********, ****** **** ******* ** ***************** ******, with **** ******** ****** **** ********. ***** ******** ** *** **** ******* ******* ** ***** ********, such ** **** ** "*******", *** ***** ****** **** ********** in *** *****. **** ****** *******, **** ** ********** ** *****, **** *** included ** *** ****** ***** ***** *** *******. ***** **** these *** ** ******* ** **** ******** ****** *********. **** ****** **** *** *********** ******, **** ** **** ******* clips ***** ******* "*****" ** "****", *** ****** ***** ********** "ceiling." ***** ******* ****** ** *** ****, *** *** *** likely ** ** ****** ** *** ** *** ***. *** ******** ********* ** ***** (********, ******, *****, *********) *** essentially *********, ******** ***** ******** ******* *** ** ******** **** *** *** **** ******** *************** described *****. *****'* *** ****, ******** *** ******** *********, ** $**. ** *** *** ***** per ******. ***** ***** ***** ****, ***** **** *** ******** analytics/labeling, **** ***** ******/******, ** $*. ** *** *****. ***** **** *** ***** *** **** ***** *** **** ********* of *** *** ******* ****** *******, **** ** ******* *** search, ** *********. *****'* ********* ******* ***** ***** ******* ******** **********, ***** ******* labels ** ******* ** *** ***** *** ******** *** ******, in **** **** ****** **** ******* *********. **** ******** ** automated, ********* ********** ** *******, *** ***** *********. *** *******, ***** **** ********* ********* * ******* ******** * given ****, ***** ******* **** ******** ******, **** ** "***** utility *******", "****", "***********", ***., *** **** ** *** ****** object, *** **** ** ********** ******* ** *** *****, **** as *****, *****, ** *******. ***** ****** *** ** ******** later, ** ****** ** ******** ******* ****. ***** ********* ******* ****** ** *** ****** ******, *** *** night, ****** *** *******. ** *** ** ******** ** ***-***** objects ***** ******* ** ******. ******* ** ****** *** ******* **** "********", ***** *** ****** for ******** ***** ** ***, **** ** "***** ******* *******" or "*******" ** "****** ***." **** ******** **********, **** ** "compact ***** ******* *******" ** "**** **** ***" *** **** possible. ** *** *****, ***** ******** **** ********* ******** (***** *****), though ***** **** ** *** **** ** *******, *** ********* identifies ** *** ** * *******, * ***** ** ** SUV, ***. ** ***** **** *** **** ******** **********, **** as "******* ***" ** "**** **** ***" ** "******* ***** utility *******" **** **** ******** **** *** **** ******* *****. ** ******** ** ******** *******, ***** ****** ***** ** ****** by ***** *** ********* (***********/*********). ** ***** *** ****** *** "cars ***********" ** "****** ******* ****" (*****). **** **** ***********/********* ***** ** *******' ******** ******** ** *** ******, *** *** ******* ****** ******** ** **** *****. ** "person *********** ****" ********* ******* ****** ** ***** * ****** approaches *** ********** **** ** *******, *** ****** ************ *********** * ****. ***** **** **** ****** ** ******* *** ***** ********* ******* in *********** **** **** ***** ** **** ********* **** *********, and ****** *** **** ** ********* **** ****. ** *** *****, ***** ******* ******* ******* ** ***** ******** only * ******* ** *****, **** ** ***** **** ********. *** *******, *** ******* ******* * ********/***** ** *** ***** below, ***** *** ******* ** "***" ** *****. ****** ******* in *** ****/***** *** *** *** ** ** *******, *** accurate. ***** **** ********* ** ***** *** ******* ***** "******" ** a ******* ******** * ***** *****. ***** **** **** **** is ****** *** ** *** ****/***** ** *** ****** *** the *******'* *******, ****** ** **** ******* ** * *****. ** ******* *********, ****** ******* **** *** *******. *** *******, during *** *****, ***** **** ***** ***** ** *********** ****** grass, **** ** * ****** ***** *** **** ******. ***** labeled ***** **** ** "********", *** **** ** **** ******** data, *. *., * "*********" ***. *******, **** ** *** ****** ******* ** ***** **** ****** not *********** ****** ** **** *****. *** ********, "****" *** one ** *** ********* ******, *** ********* ** ****** ***** clips ** ***** **** *** *******. **** **** **** ** not * ******** **** ******* ****, *** ************* ******. ** *** ****** ******, **** ***** **** ******* "*******", ****** essentially ***** **** *** ******* ******* ** **, ** *** camera ** ** *******/******** **** ** * ********** ***** ****. ***** ********** ******** ******* ***** ** ******* ******* ** ***** service, ********* ** ********* ***** ***** ** ********* **** *****, with ** ****** ** **** *****. I was just saying to my coworkers at ASIS about the next generation of video analytics being machine learning and using human feedback to "teach" the analytics, much like Google's Picassa or Apple's Photos does with faces. The next day I came across Iron Yun at the rear of the show and was blown away by the capability and how it performed at identifying human subjects stacked deeply in the FOV using web cam video live. That is a very interesting technology. I wonder how long until we see it integrated into a normal VMS, not as an add on like BriefCam or other analytic companies. Less than 1 year. 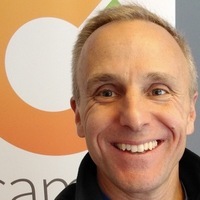 I'm CEO of Camio and we're enabling cameras, NVRs and VMSs to embed this technology seamlessly with non-restrictive licenses, white-labeled services, and an extensible video processing pipeline. That way, manufacturers leap frog the low-level grunge-work to run Machine Learning at scale and at low cost without losing their ability to differentiate with unique video processing capabilities and service levels. Thats fantastic. Who we talk to about this? About how much CPU per camera does it take for a 1080P 7 frames per second H.264 stream? Does this have a large database that is required to run alongside it? Great, please contact me or partners@camio.com. For CPU benchmarking, the 1.5Ghz cortex-A53 cores with 2Gbyte DDR3 SDRAM easily handles three 1080p video streams at 20 fps. The local firmware doesn't have any large database. Instead, it extracts features from the video event locally in a chatty "metadata-first" exchange with the cloud to learn and rank what's interesting without needing to upload video. I'm interested in this solution. We are a brazilian installer and have a lot of projects in courthouses, universities and hospitals. Is this sollution deigned to enterprise scenarios with hundreds of cameras? How can we get a demo license? Hi Rafael - Yes, hundreds of cameras is no problem. If a large deployment has limited uplink bandwidth available, then you can leave the video itself on premise using metadata mode; but you still need at least 30 kbps/camera * num_cameras uplink available (e.g. 120 cameras * 30kbps/camera = 3.6 Mbps up). Yes, contact us when your video streams are connected and we'll send you a code for your evaluation. Very interesting product. Will keep my eye on this for sure. While many of our customers fear the cloud, I do believe something like this may start to tip the bar. I do agree, quite heavily, that this is misplaced in the home market. If this were scaleable, and at the very least capable of processing in an Enterprise data center with only the metadata being sent to the cloud the potential for uptake in large enterprises is huge. I cannot tell you how many customer sites I see with one or two guards addressing elevator alerts, fire alarm alerts, door monitoring systems, card access alerts, key management, and answering random phone calls all while being expected to watch several hundred or thousands of cameras. Analytics alone isn't quite at the point it needs to be. I can see placing something like HP Moonshot in a datacenter and sending the data out to the cloud being more acceptable. I will definitely keep an eye on this company in the future. Thank you to IPVM for updating this as I missed the initial review. Yes, you control the metadata and media that gets uploaded to the cloud at both the account and camera level. For example, you can leave all video files on the local network but upload only lo-res thumbnails for fast browsing in the cloud. We'll look at HP Moonshot too. Thanks for the pointer. the problem with home users is that they tend to have low cost equipments which do not produce metadata, and uploading 4-8 HD cameras to the cloud would take too much bandwidth. 4, that's the point / role of the Camio Box that we mentioned in the report. These examples might help clarify how Camio works with any camera/NVR/DVR that provides its RTSP H.264 video stream. Camio has open-sourced that rtsp repo under the Apache License to create a shared resource for everyone that needs programmatic access to well-tested RTSP urls across camera makes and models. There's a README with instructions to add your own cameras/NVRs. I wonder if something like this could extend to internal loss prevention through sophisticated analysis of retail cash register transactions? Recognize your stock, serial register stream mismatches flag potential sweethearting, monitor movement of cash? Unfortunately, it's very difficult to get that level of precision and tracking of individual objects (like bills) without very high res stereoscopic cameras. But Camio could help more crudely with basic triggers for suspicious *sequences* of events. For example, shoplifting might look like a sequence: 1) "people approaching front entrance" -> 2) "people at high-value display area" -> 3) "people departing front entrance" without the presence of a common intermediate event as 2a) "people at cash register". Camio hooks enable you to create these kinds of rules in custom-coded solutions. @Rodney - Camio Box sits on the local network with your cameras/NVR and uploads only via SSL port 443. All inbound network ports can be closed, so it eliminates the port-forwarding security risks too. Both the transmission and storage of metadata and video is encrypted. The SSL connections even use Perfect Forward Secrecy so that even if the NSA somehow decrypted a single recorded SSL session, they can't use the keys for subsequent sessions. Also, there are no account credentials stored on the cameras, NVR, or Box. 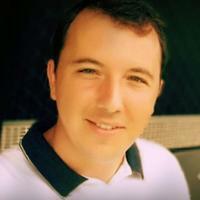 Camio Box uses a special token that permits only uploading of the content. So if someone steels the Box for an offline attack of its memory or SD Card, there is nothing to be hacked and no way to gain account access. Bottom line: all data is owned and encrypted for you only (and any authorized guests you explicitly add to your account).